An oil spill containment boom has been positioned around the area where the Earnest sank, in an effort to minimize any further environmental impact. At this time, no reports of adverse effects to wildlife have been reported. According to Capt. 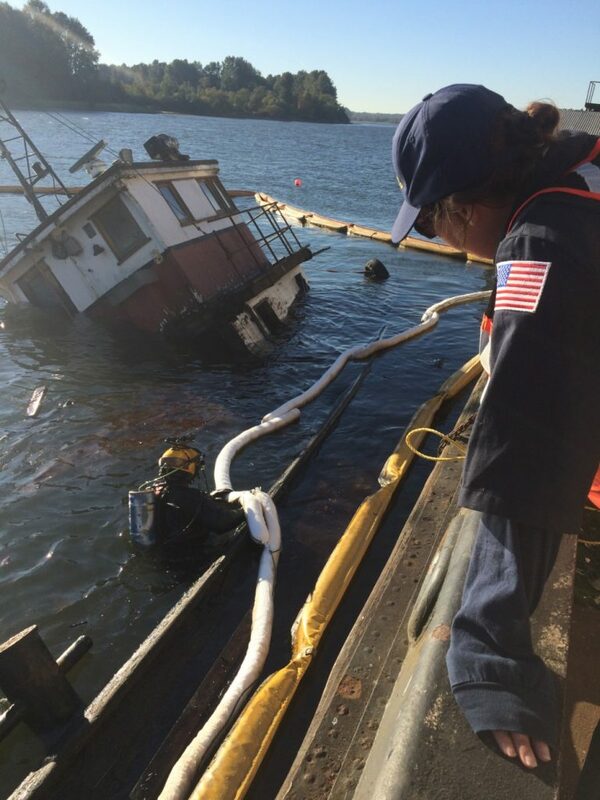 David Berliner, deputy commander, Coast Guard Sector Columbia River, the Coast Guard will use more than $200,000 in funds from the Oil Spill Liability Trust Fund to conduct the cleanup operation. Divers from Ballard Diving have recovered approximately 300 gallons of fuel from five tanks on the vessel. Image courtesy of the US Coast Guard.